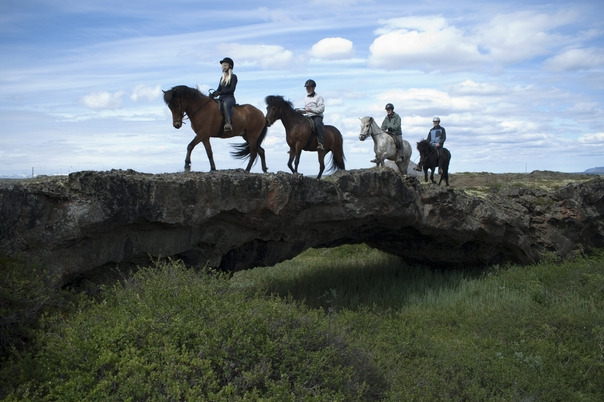 The Safari Horse Rental was founded by Arngrimur Geirsson and Gigja Ester Sigurbjornsdottir. 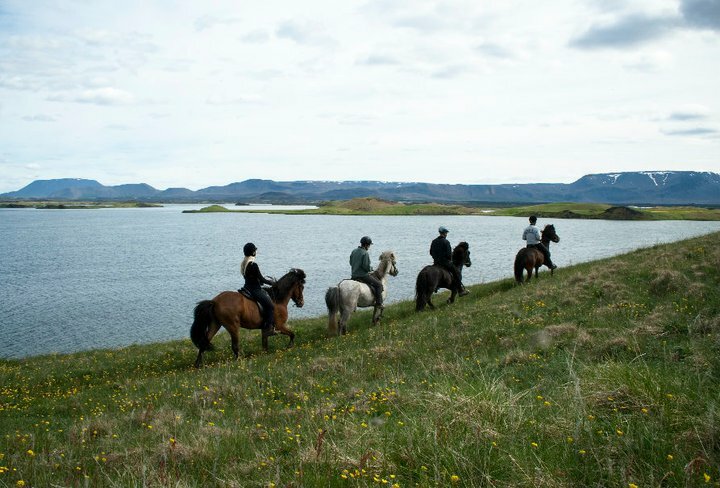 They were school teachers at the Reykjahlið school and the horserental started out as something to do during the summertime when school was out. Everyone in the family has worked at the horserental at one time or another including grand children. Today the horserental is run by the whole family everyone contributing where they can. Will take you through amazing lava formations you just would not believe. The tour starts along side Lake Myvatn and during summer with luck you will see baby birds just starting out in life. Next the tour takes you up on a pseudo crater with a view of the water you would not believe. The rest of the tour take you through lava that is over a hundred years old using old horseroads that were actually used to transport people and supplies many years ago. This includes the same sights as talked about in the one hour tour but in addition the ride takes you to the reef which is an underground road the horses used to use when going over the water. 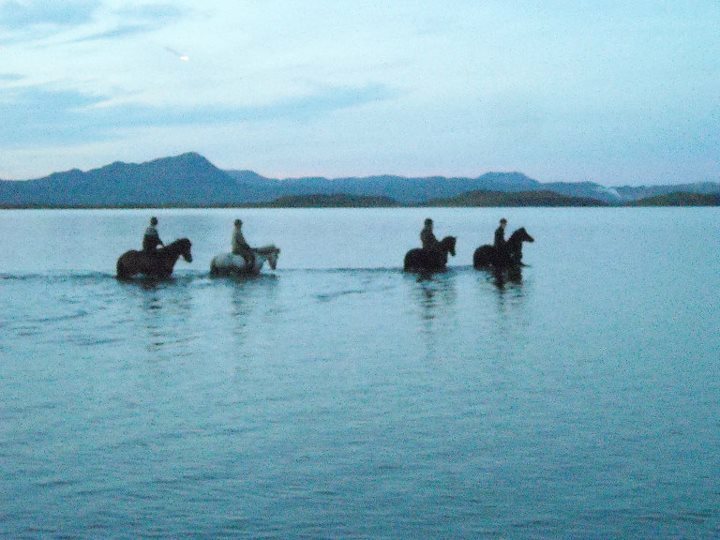 The horses get thirsty during a long ride and so we stop at the water to let them have sip. Next we ride up on a pseudo crater where we will get of the horses for a little while and have the chance to walk around in the crater giving the horses a small break. This is a good opportunity for pictures. Making our way back home there is plenty more to see but for those that would like to try a little more speed this will be the right time.